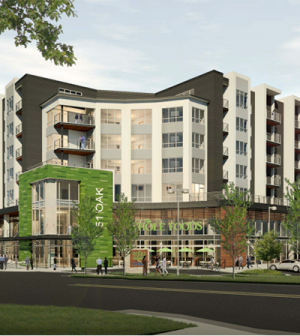 Integrated Facility Services (IFS) is installing a $3.2 million plumbing system for the $40 million 51st and Oak multi-use development in Kansas City, Missouri. Van Trust Real Estate is the developer, HOK is the architect and The Weitz Company is the general contractor for the design-build project, which is scheduled for completion in December 2017. The eight-story, 325,000-square-foot complex includes 170 luxury apartments, a clubhouse and fitness center, student health center, Whole Foods grocery and parking garage on a nearly three-acre site. IFS participated very early in the design process, which used Virtual Design and Construction (VDC) planning, BIM technology and Robotic Total Station Layout. Integrated Facility Services (IFS) is a full-service HVAC, plumbing, piping, fire protection and building automation firm with more than 270 professional and trade employees. Established in 1966, IFS delivers integrated mechanical engineering and construction, installation, service and planned maintenance, and energy conservation solutions to ensure occupant comfort, improve efficiency and reduce operational costs. IFS serves clients in Missouri and Illinois, with offices in St. Louis and Columbia.